As reported last year, the National Ready Mixed Concrete Association (NRMCA) has launched a campaign to gain market share in the midrise commercial market, and ICFs are a major part of that strategy. 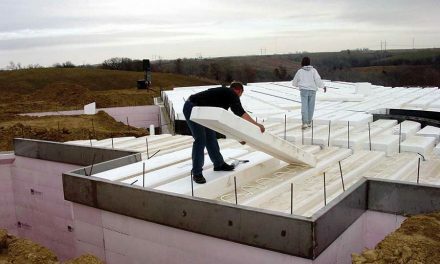 The effort is already paying dividends, and several new resources for the ICF industry are available because of NRMCA efforts. 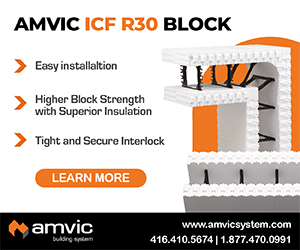 Earlier this fall, the Build With Strength website added a section that promotes insulated concrete form (ICF) construction. 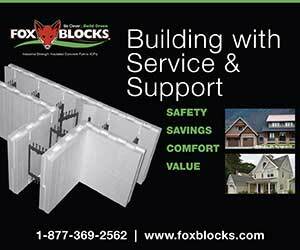 “ICFs offer superior energy efficiency, durability and safety,” the headline reads. 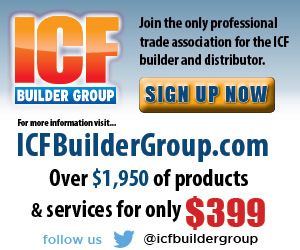 The ICF section can be accessed at www.buildwithstrength.com/icf/. In August, Build with Strength hosted a webinar to educate reporters and bloggers who cover design and construction. The event focused primarily of the difference between ICF and wood products such as cross-laminated timber (CLT). It also discussed Build With Strength’s design assistance program. The campaign also involves lobbying for more durable construction methods. 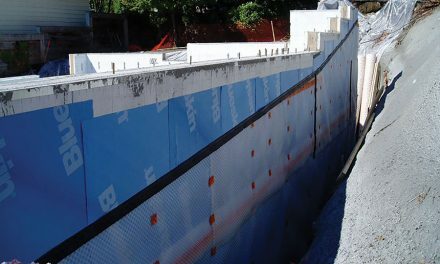 In mid-August, they logged their first major success when the city of Sandy Springs, Ga., voted unanimously to prohibit combustible building materials from being used as exterior or load bearing walls in structures above three stories and 100,000 sq. ft. The coalition is hoping to make a similar change in Chicago, where the legendary fire of 1871 occurred, as well as in New York City. Private polling data confirms that, in the wake of Superstorm Sandy, voters in the region are very supportive of making changes to support more durable buildings. The poll of 406 registered voters in New York found 98% strongly support changes to construction codes. “After experiencing the destructive power of the ocean and wind firsthand, New York voters have unequivocally expressed their desire for a stronger, more durable community,” said Kevin Lawlor, a spokesperson for Build with Strength. In addition to calling for construction code changes, the poll found voters are supportive of legislation that (1) requires all buildings over three stories high have concrete and steel frames for greater safety and durability (92% support), (2) limits wood-frame construction to three stories and 20,000 square feet per floor (86% support), and (3) bans light frame construction (like wood) in multifamily dwellings and densely populated areas to save lives in the event of a fire (85% support). A similar poll of New Jersey voters found 95% of those polled in favor of more fireproof construction. That survey was taken in the wake of a January 2015 fire that destroyed a 240-unit apartment building that left 500 people homeless. In order to build on these successes, Build with Strength has assembled an advisory board of developers and investors. Jonathan Arnold of Arnold Development and Jack Holland, an investment banker, are co-chairmen of the council. The two are building what’s billed as “the world’s most energy-efficient building,” a 276-unit multifamily development in Kansas City. In November, they publicized a Massachusetts Institute of Technology (MIT) study entitled A Break-Even Hazard Mitigation Metric. 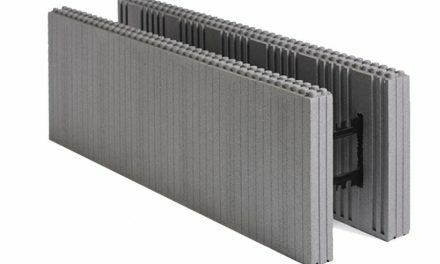 The study found a $10 million non-engineered wood building could be expected to face more than half a million dollars in hazard related damages over 50 years, while a $10 million engineered concrete building is expected to face only $165,000 over the same period, confirming the importance of using resilient construction materials—like concrete and steel rebar—in regions prone to extreme weather events.